“Virage“ is a French word meaning a turn in the road, a change in direction. It also can reflect a change in orientation or perspective. It’s the name taken by epicure multitasker Emily Richer for her wine business. 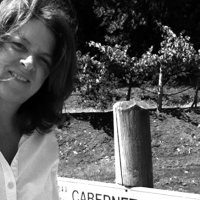 I like Emily Richer’s quick bio description on her blog page, “Investment banker turned right banker” For all of you Bordeaux enthusiasts picking up on the “right bank” moniker, you already understand the winemaking philosophy Emily proceeds upon. Right now California Red Blends are hot. Vino lovers are becoming more and more interested and enchanted with the final product of the fine art of wine blending. And how many wineries are running with the term “Meritage” (pronounced like “heritage”), that indeed reflect the producers use of the classic Bordeaux varietals. 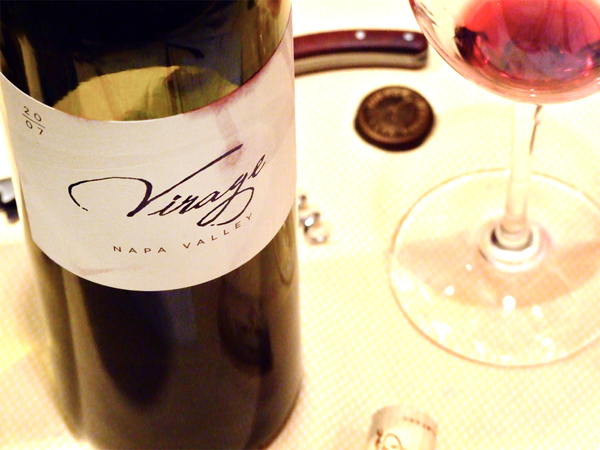 The primary mission at Virage is to produce a cooler-climate Napa interpretation of a Right-Bank Bordeaux Blend. 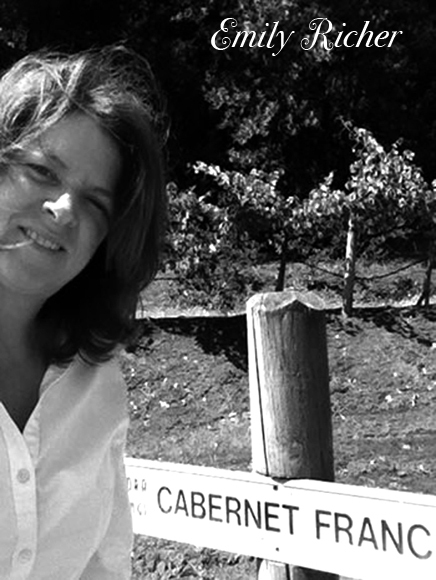 Emily states, “I enjoyed twelve years working with Napa Valley vintners including the St. Emilion deConinck family and Agustin Huneeus whose stunning Quintessa property showed me Napa Valley’s potential to interpret a Bordeaux blend.” Emily would also go on to work with the wonderful educator and James Beard award-winning “Wine Bible” author, Karen MacNeil. Emily and I recently spoke on the phone and she said, “In introducing folks to my wine, I find so often, especially in California, that people tend to equate Napa Valley with Cabernet Sauvignon. 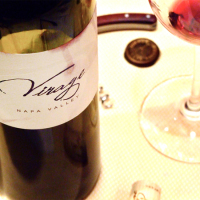 Yet Napa’s extraordinary diversity of soils and climate can produce Cabernet Franc and Merlot with remarkable depth and complexity—when grown in cooler climate, among other things, we see reasonable alcohol levels that produce a great dinner wine. This 2007 vintage is a blend of 71% Cabernet Franc, 24% Merlot and 5% Cabernet Sauvignon almost entirely from the cooler confines of Carneros, though it carries a Napa AVA. And I agree with the tasting note below: This stuff is delish! Wine & Spirits Magazine wrote: “Cabernet Franc leads this layered, complex Bordeaux-style blend. Expressive aromatics introduce rich pomegranate and black cherry mingling with graphite, fine tobacco, and a savory minerality reminiscent of a Right-Bank Bordeaux. Emily continued, “I’m enchanted by Cabernet Franc. I call this ancient varietal the “heirloom grape,” which thrives in a narrow comfort zone and teases us with rich complexity when optimally ripe. Given the right conditions, Cabernet Franc offers a supple, thousand-thread-count structure with exquisite depth of fruit and savory elements. “The rosé idea came in 2010, when I made the first wine ever produced from a 14 year old stretch of Cab Franc running down the fence-line of the north slope of our primary vineyard source in Carneros. It’s all about the cooler climate again—retaining acidity, and for the rosé to achieve this flavor character, we gotta PICK EARLY! This Virage Cab Franc Rosé will be selling for less than$18 a bottle. What a deal! Certainly all you wine enthusiasts will join in this complimentary Sunday tasting as great way to usher in the warm desert holidays that wait us. Cheers! Rick is your somm-about-town entertaining and conducting at wine events & tastings. Contact winespectrum@aol.com.